Having a full set of healthy teeth means that you can have a sustainable diet with good digestion so that your overall well-being is being preserved. A naturally beautiful smile is important as well since it sets you up for making positive first impressions with others. At Grandon Village Dental, we provide dental implants to our patients throughout San Marcos so that they can smile with confidence. As a solution that works as an alternative to ill-fitting dentures and a supports a restored bite, this reliable measure provides a permanent replacement for missing teeth. Dental implants are an innovative replacement option which replaces a tooth from root to crown. These permanent restorations are stable and durable since their post is placed into the jawbone. Once the implant post has integrated with the bone, an abutment is fastened on top to connect the restoration to the post. Your final restoration is then fixed onto the implant placement, and you will be left with a smile that feels comfortable and looks natural. Addresses the jawbone recession that occurs after the loss of a tooth. This resorption causes your jaw to become brittle and can lead to a prematurely aged appearance. 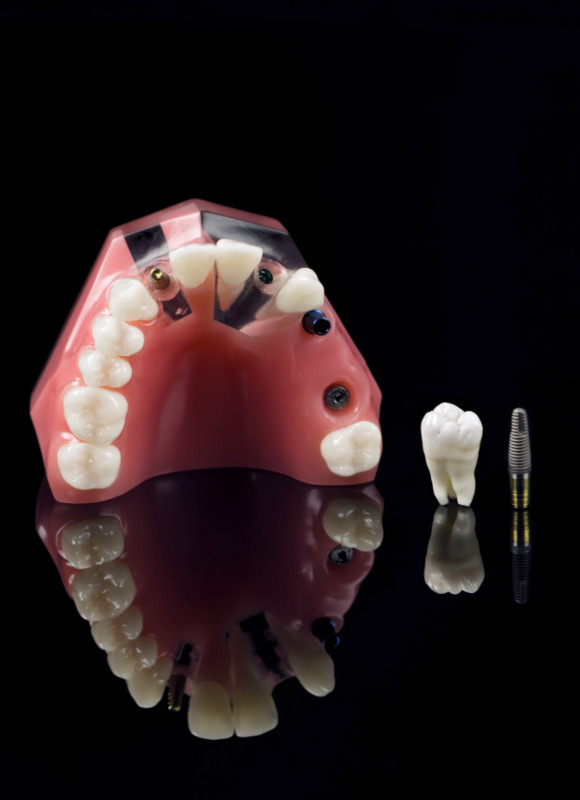 Dental implants are adaptable for a variety of restoration options such as dentures, crowns, or bridges. It provides a more a stabilized and sturdy solution for the aforementioned tooth replacement options, that improves bite as well as the aesthetic of the smile. Unlike dentures, which may require repair over time, dental implant supported restorations permanently replace missing teeth. To begin your implant treatment, an in-depth consultation with our San Marcos implant dentist, Dr. Georgina Quintero-Golshan, will be scheduled to determine if dental implants are a suitable option to restore your smile. For you to be a suitable candidate for dental implants you must have overall great health and enough density in the jaw to sustain an implant. There are a variety of procedures such as bone grafts that are available to ensure your candidacy. Dental implants are the top choice for permanently replacing missing teeth. Contact Grandon Village Dental in San Marcos today to find out if dental implants are the tooth replacement option for you!